An amendment has been presented to the parliament to raise the parliament candidate application fee from MVR 5,000 to MVR 15,000. The amendment was presented by the MP for Faresmathoda constituency, Hussain Mohamed. 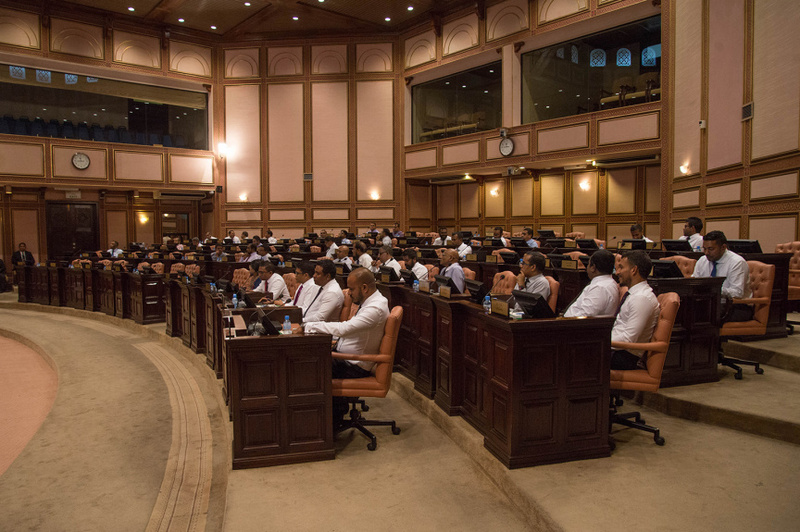 While an amendment has been presented to raise the parliament candidate fee, a similar amendment has been presented to increase the deposit amount for Presidential Candidates from MVR 40,000 to MVR 100,000. Amendments presented to the Elections Law to ban those who leave the citizenship of other countries to wait ten years before they can run in a Presidential Election and banning those living in self-exiles in other countries from running in elections was passed by the Parliament Committee for Independent Insititutes yesterday. And the amendment to invalidate ballots with drawings and writings by voters was passed by the committee with an amendment: it would invalidate the ballot only if it's unclear who the vote was casted for.